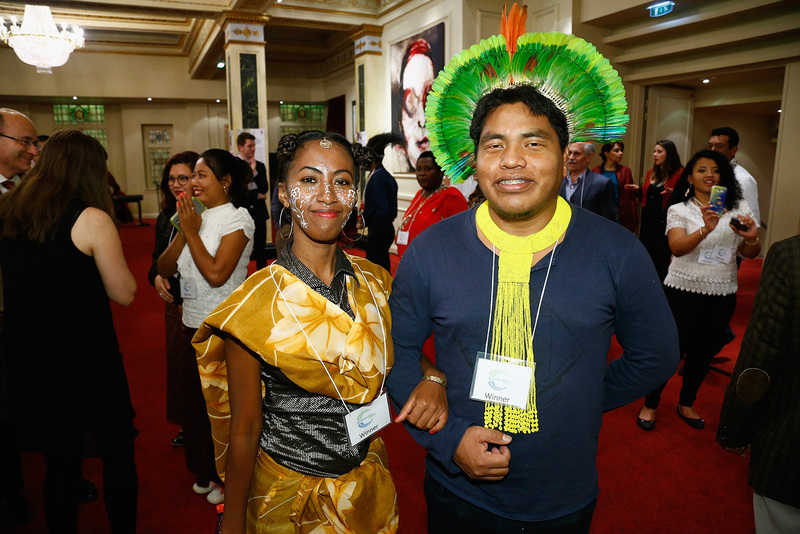 It was against this backdrop that more than 1,600 people –heads-of-state and ministers, ambassadors, global business leaders, celebrities, environmental activists, thought leaders, media, and indigenous peoples representatives – came together to celebrate the achievements and innovations of indigenous peoples and local communities, namely the 21 recipients of the Equator Prize 2015. 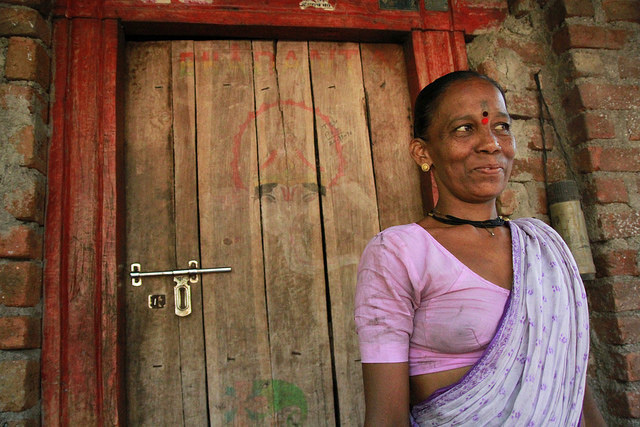 The winners, who were selected from a record-breaking 1,461 nominations from around the world, were honored for their remarkable achievements in tackling climate change using innovative measures to reduce poverty, protect nature and strengthen resilience. 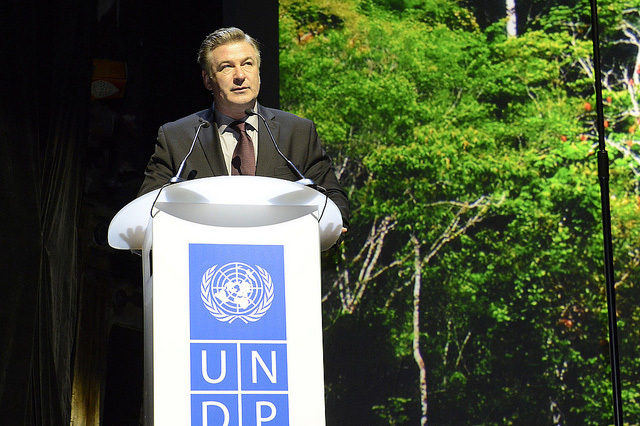 Alec Baldwin, noted actor and activist, hosted this year’s ceremony, which included remarks by UNDP Administrator, Helen Clark, as well as renowned environmental leaders such as anthropologist Jane Goodall, former Norwegian Prime Minister Gro Harlem Brundtland, Executive Director of Greenpeace International Kumi Naidoo, and UN Special Rapporteur on the Rights of Indigenous Peoples Vicky Tauli-Corpuz, among others. 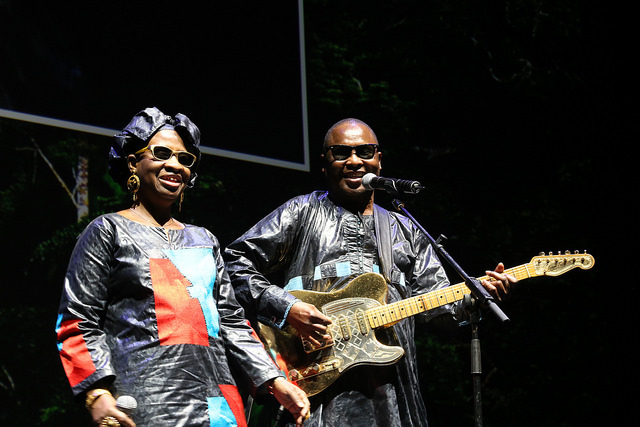 A special musical performance was given by Grammy Award-nominated Malian duo Amadou & Mariam. 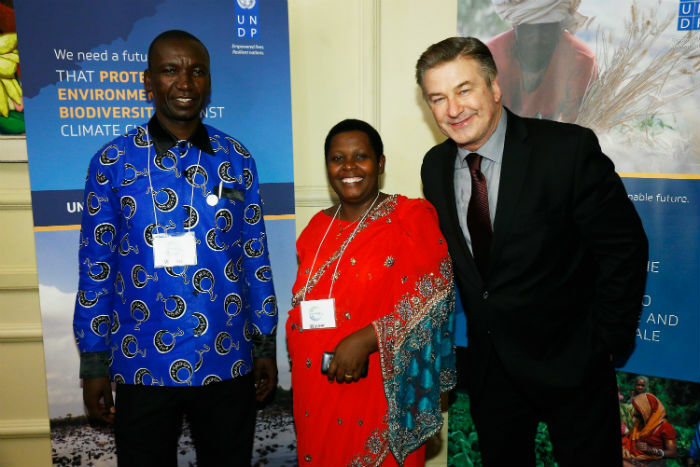 Films profiling the work of the Equator Prize 2015 winners were screened during the evening, narrated by actor, filmmaker, and UN Goodwill Ambassador for Biodiversity, Edward Norton. 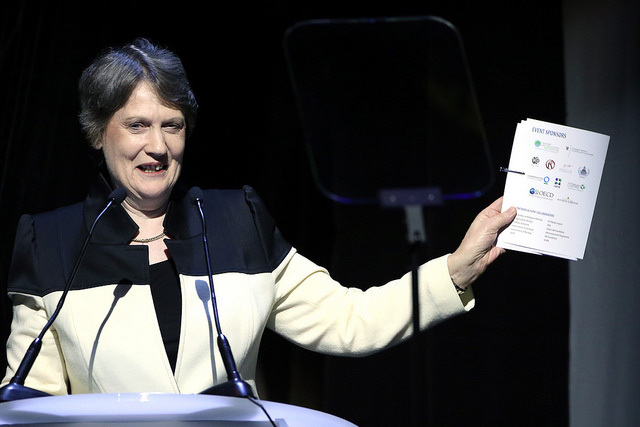 In her opening remarks, Helen Clark said, “Climate change affects all of us—rich and poor, developed and developing, urban and local. It is truly an all-of-society concern that requires an equally all-of-society approach. The people and groups here tonight have shown that action and innovation against climate change can and does happen at all levels, and this should be encouraged, supported and scaled up.” Clark also announced the launch of a new Equator Initiative publication, “Climate Solutions from Community Forests: Lessons from Indigenous and Community-Based Forest Management.” The book, which can be downloaded here, is based on the lessons learned from previous Equator Prize winners in protecting, restoring and sustainably managing forests. 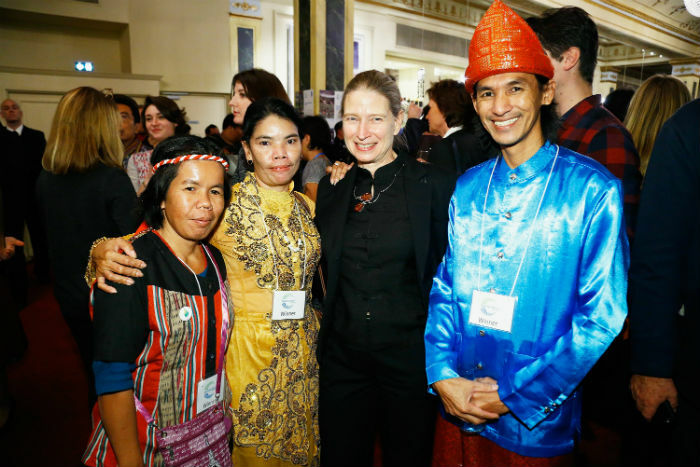 The ceremony highlighted community achievement in four thematic areas: the protection, restoration and sustainable management of forests; protecting and securing rights to communal lands, territories and natural resources; community-based adaptation to climate change and sustainable livelihoods; and activism for environmental justice. 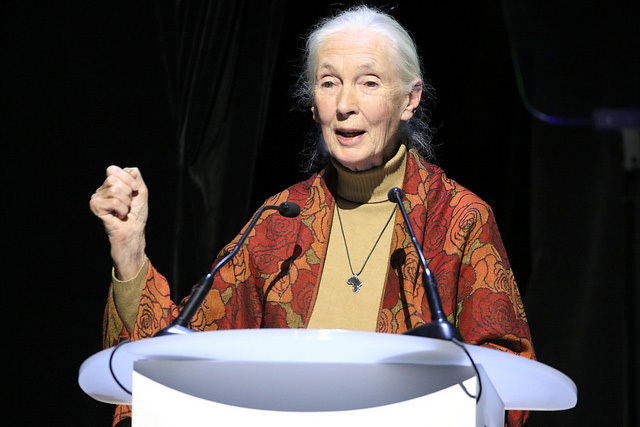 World-renowned anthropologist Jane Goodall, spoke of the need for the world to reevaluate its history of consumption and its impact on the environment. “How come the most intellectual creature to ever walk the planet earth is destroying its only home? I think there is a disconnect between the very clever brain that is capable of so many extraordinary achievements and the human heart – that’s love and compassion. So many people in the developed world have lost the wisdom of the indigenous people where you make a decision only after considering how will this decision affect our people generations ahead. We’re saying, ‘How will this affect me now or the next shareholder’s meeting?’ I truly believe that we will only achieve our true human potential when head and heart work in harmony.” To watch Jane Goodall give the closing remarks, please click on the image below. Prize winners were featured in national and international media, including:Al Jazeera , Amazonia , Associated Press , BBC Brasil , Boulder Weekly , Climate Change News , Copenhagen Post , DR TV Network , Eco Business , Economic Times , Government of Norway , Green Peace , Herald Sun , Kompas , Le Parisien , Mehr News Agency , Mongabay , National Geographic , Naturguide , Net News Ledger , Nyheder , Phnom Penh Post, Plus TV , Politiken , Radio France Internationale , Republika , Tabianchi , TeleSUR , Voice of America , and Univision .